Tour Description: This is ZJJ local join-in tour and Chinese-speaking guide service, You can choose one of them according to your travel time plan.Pls give us: Your passport’s information and Your hotel’s name and Your contact info, to buy local insurance and facilitate us to pick you up at your hotel, Professional guiding service will bring you a relaxed, casual, comfortable travel in Zhangjiajie. 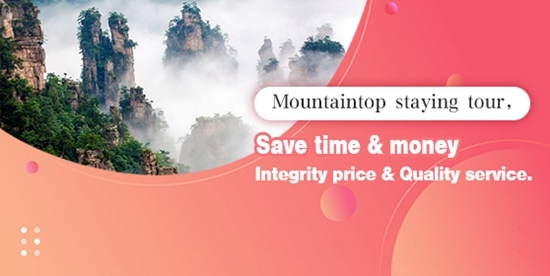 D1, Pick-up at Zhangjiajie city(7:00am-8:30am),Wulingyuan Biaozhimen entrance-Bailong elevator-Yuanjiajie(Avatar mountain)-Tianzishan mountain-Tujia style dinner- Recommended option:cost 238RMB/PP(Evening Folk show-Dream Zhangjiajie). 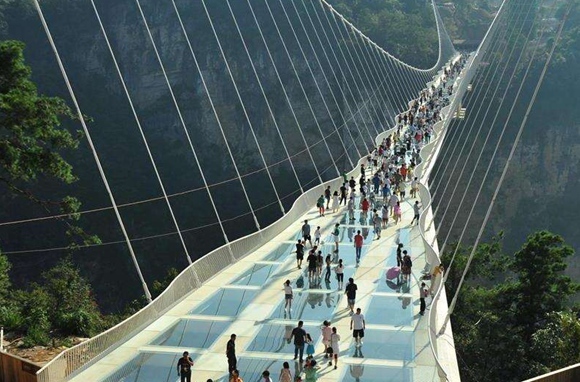 D2, 40 minutes drive to Zhangjiajie grand canyon,you will take a thrilling walking on glass bridge. Bus transfer to Xibu street, Dirve back to Zhangjiajie city. service ends. 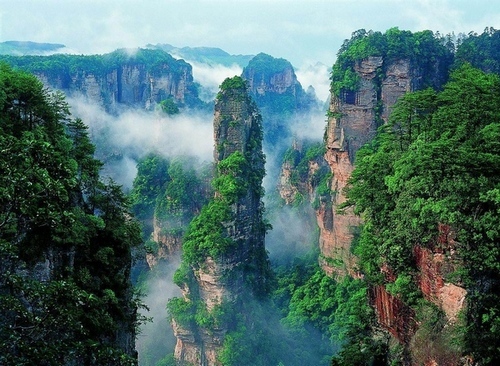 D2, 40 minutes drive to Zhangjiajie grand canyon,you will take a thrilling walking on glass bridge. Bus transfer to Xibu street. Dirve back to Zhangjiajie downtown. (Every day 15:30pm or 16:30pm), Collected in Tujia Folk Park,then bus transfer to Fenghuang ancient town. You can enjoy nice night view of Fenghuang town. 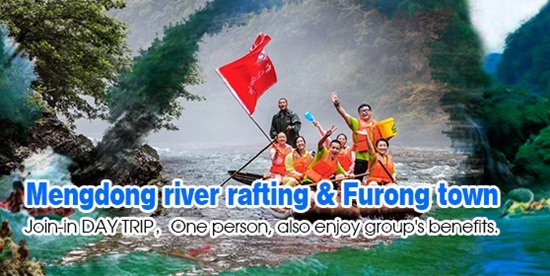 D3, Visit Fenghuang ancient town during the day to the see the daily life of miao people, and discover the interesting of the local culture with your guide, Lunch in fenghuang town, then bus back to Zhangjiajie downtown. service ends. 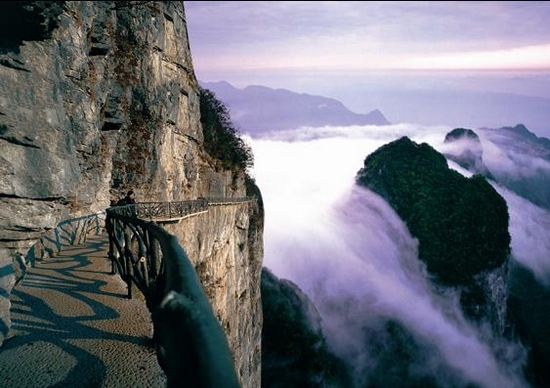 D2, 40 minutes drive to Zhangjiajie grand canyon,you will take a thrilling walking on glass bridge. 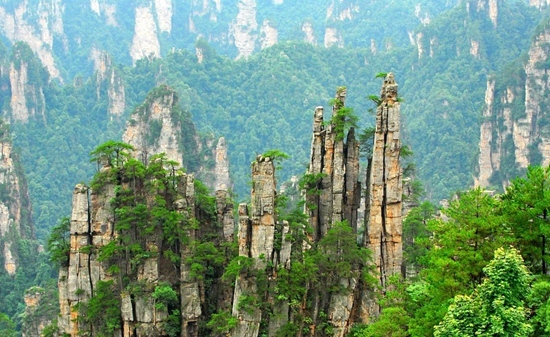 Bus transfer to Xibu street.then dirve to Zhangjiajie downtown for your hotel. D3, Bus Transfer to Zhangjiajie Tianmen mountain cable car station,you will take cable-way up to the top of mountain,also you will take a thrilling sky-walking on glass plank. Dirve back to Zhangjiajie city. service ends. 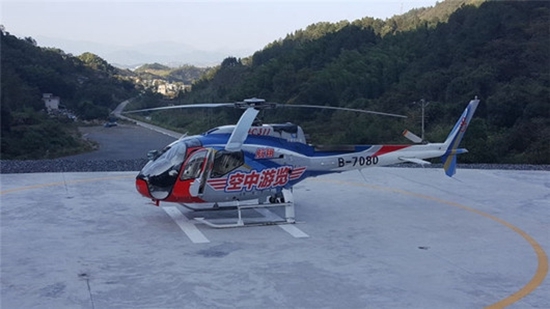 D3, Bus Transfer to Zhangjiajie Tianmenshan cable car station,you will take cable-way up to the top of mountain,also you will take a thrilling sky-walking on glass plank. Dirve back to Zhangjiajie downtown. 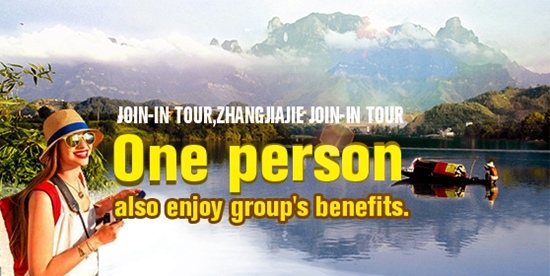 (Every day 15:30pm or 16:30pm), Collected in Tujia Folk Park, then bus transfer to Fenghuang ancient town. You can enjoy nice night view of Fenghuang town. 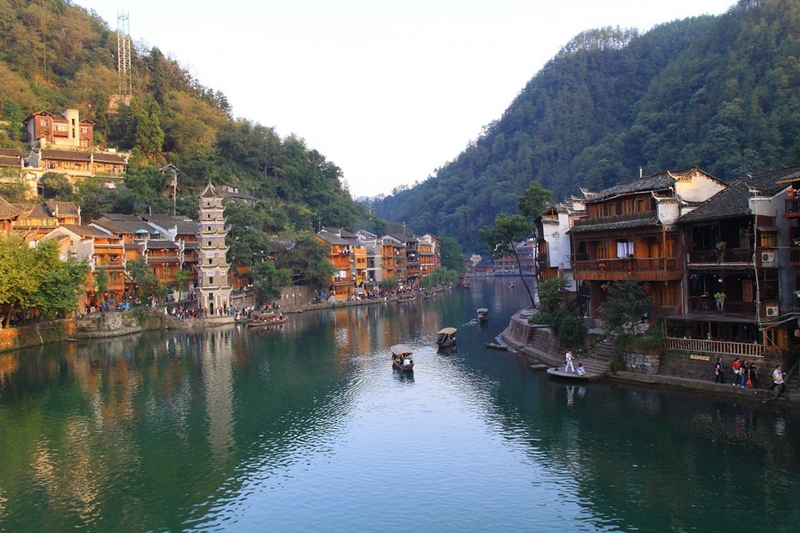 D4, Visit Fenghuang ancient town during the day to the see the daily life of miao people, and discover the interesting of the local culture with your guide, Lunch in fenghuang town, then bus back to Zhangjiajie downtown. service ends. 1．All entrance fee as above itinerary. 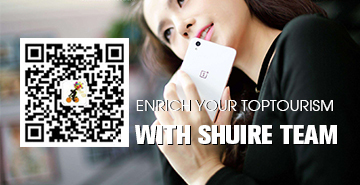 2．Chinese speaking guide service for whole trip. 4．Hotel room accommodation(3 or 4 star hotel) and including breakfast. 7．Service charge & Government Taxes. 1．Avatar park:Bailong elevator-72 RMB; Tianzi cable-72RMB;Mini train-38RMB.Tianmenshan: Escalator-32RMB, Shoes cover-5RMB;Grand canyon: Elevator-25RMB, Zip Line-30RMB. 1．Operation Season: March 15-November 15, accept a booking at least 3 days prior. 2．Please take your passport with you when you departure from your hotel. 3．Please follow your guide's insturction and suggestion duiring your tour with the group. 4．We need your great patience to wait for the cable car, elevator,bus or line up to get into the secnic area during the peak season. 5．Please ensure personal and pick up information you provided is correct. we are not supposed to refund any losses that result from incorrect and missing information. 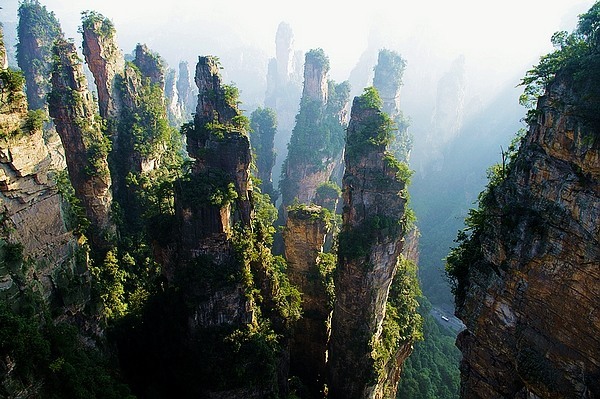 7．Drop off point: Zhangjiajie downtown or your city hotel. 9．You are not supposed to receive a refund for any part of the activity that you miss if you leave the group for any reason.